In California, colorful roadside signs remind us all that love transcends borders. 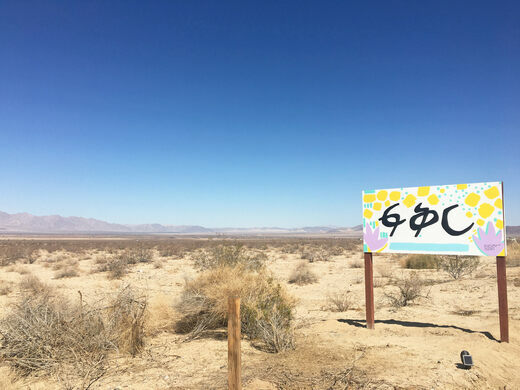 A recent addition to the vast desert landscape of Twentynine Palms is the recently installed roadside art installation proclaiming “love” in various languages. 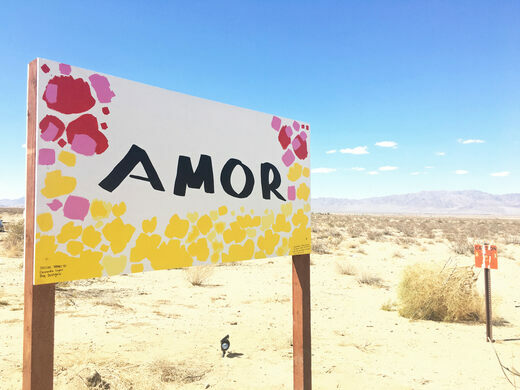 Located between Twentynine Palms and Wonder Valley in California, these colorful roadside signs are an artistic collaboration mean to remind us all that love knows no boundaries. The signs, which can be found just a couple of minutes past the Glass Outhouse Art Gallery, say “love” in different languages. Head east and you’ll see signs in English, Amharic, and Traditional Chinese. Go west and you’ll find the word in Spanish, Farsi, and Kannada. The signs were hand painted by artists Jacob Rafati and Katie Williams. Each sign features text designed by a different artist including Daniel Miramontes (Spanish), Shirin Abedinirad (Farsi), Anup Mutalik (Kannada), Meitzu Chou (Traditional Chinese), Jacob Rafati (English), and Yosef Lule (Amharic). While driving down Highway 62, you can easily pull off by the side of the road to take striking photos of the signs contrasting against the desert and, above all else, take a moment to appreciate love. 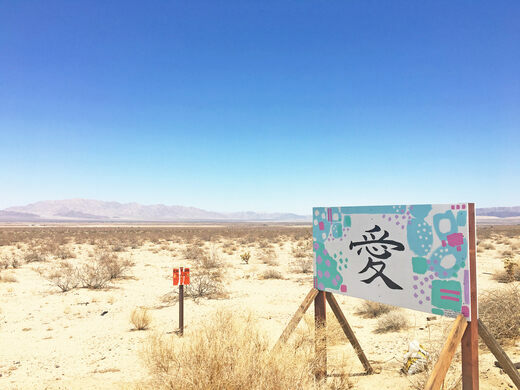 The signs can be found in California on Highway 62 between Wonder Valley and Twentynine Palms, just a few minutes past the Glass Outhouse Art Gallery. Crumbling pink walls and murder memorials preserve the pioneer history of Joshua Tree. A giant toy jack made of numerous welded-together fire hydrants.